“The highest education is that which does not merely give us information but makes our life in harmony with all existence “. 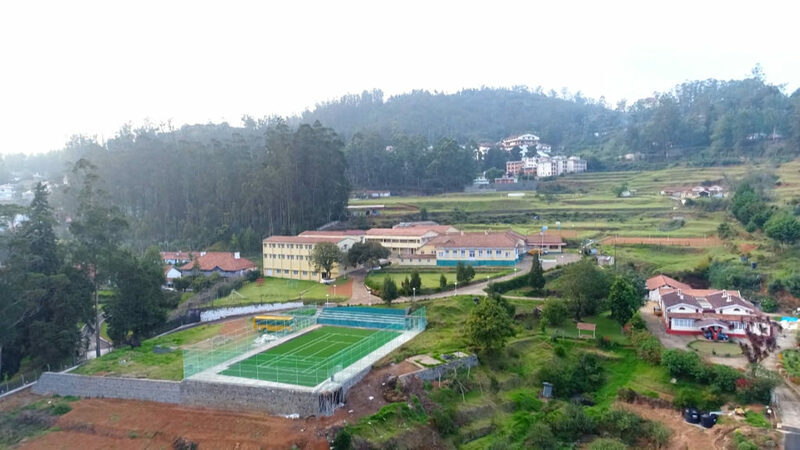 Woodside School, established in the year 1991, is situated in the heart of Ooty town on a 17 acre site of green pastureland, catering to the needs of students from all over India on a co-educational basis. The School admits students, both on boarding and day scholar basis. CBSE syllabus is followed with low teacher-to-student ratio. Personal attention to every pupil is guaranteed. Woodside campus was formerly the residence of the Army Commandant of Ooty during the British Rule. Later it was acquired by the Ootacamund Club. The management bought this in the year 1944 and established a school in the year 1991. Our founder, Mr. Balalingiah under his stewardship a Non Profit Trust runs the school. Under his vision the school has produced socially aware-skilled citizens for the past two decades. The trust provides 100% scholarship every year to the economically backward but potential students. Vision: Strive hard to offer quality education that will ensure speedy and efficient learning on the part of all students and develop their physical, emotional and spiritual potentialities. Mission: To recognize the need to focus on vital knowledge and provide students with the skills which help them to find and construct knowledge on their own. The aim of the school is to provide an overall development to its students and to inculcate in them the worthwhile values of life. Special attention is given to extra and co – curricular activities as mere academic excellence alone is not sufficient for the building of character. Rounded skills are required to prepare the children to face the future and become worthwhile citizens of India. The school believes in not rejecting slow learners or students with special needs. Instead, it believes in accepting such students as a challenge. Career guidance by specialized persons in the respective areas like Engineering, Medicine, Chartered Accountancy, Teaching and others is given to our outgoing students. The school is proud of being unique in bringing to action the thing called ‘Character Building’. A lot of time with an equal amount of patience is spent on adolescents, who need to be corrected and guided and who suffer from attitude and behavioural problems.